Once upon a time there was a little girl. This little girl was happy, smiley and cheerful (most of the time) and so she had lots of friends. She loved spending time with her friends, playing with them, cuddling them, looking after them, even having sleepovers with a select special few. But as with all friendships, there was one that was just that tiny little bit more special than the rest. Everyone needs that one friend- that one that they turn to when they are sad, that one who will wipe away the tears when they are falling down your face. That one that makes you smile from ear to ear just by coming into the room. That one that just makes you feel safe when you are feeling unsure. That little girl was called LL. And LL had a very special friend called Baa. On the day Mads was born, Mr E went home for a little while after visiting times finished. On his return back to the hospital a little later he brought with him a large present wrapped up with a bow. Being that Mads was born on Christmas Eve, I didn’t think this was that peculiar. But it turns out this present was for his newborn baby girl and on the tag there were the words ‘To my Baby Girl. The first of many presents from your Daddy.’ Of course, being only a few hours old, she needed a little help unwrapping it but it turns out that inside there was a gorgeously soft pink bunny with long ears and a floppy tail. It made my already hormonal over emotional mind turn into mush and I thought it was so thoughtful and sweet that Mr E had wanted to buy the first present for his little girl. This pink bunny sat watching her from a shelf as she grew from a baby to a toddler and then when she was old enough he was one of the select few that made it into the sacred place- her bed. When LL was born, Mr E was there again with a large wrapped present- of course he wanted to do the same for this other daughter. Inside was another rabbit, this time a cream one, and yet again this rabbit sits on the shelf and keeps an eye on her. When Mr E bought them, I had visions of these cuddly toys being their chosen ‘special’ ones- just like I had a rabbit that was mine when I was little. But of course like with anything to do with small people, you can’t predict what they will like and you certainly can’t make them like something. Although both rabbits are very much loved- they aren’t the ‘chosen one.’ No no, out of all the gorgeous handmade, sentimental and gloriously soft cuddly toys my children have, they both have chosen two really rather ordinary toys as their favourites. Mads has ‘Pongo’- a 101 Dalmation that my Mum got her last minute one Christmas and popped in her stocking because she had a current obssesion with the film- since then I don’t think we have watched the movie once, but for some reason he is her special one. She isn’t ridiculously attached to him, but she does always make sure he is in bed at night with her and picks him up and cuddles him as she goes to sleep. And then there is Baa. Baa is a small, scruffy sheep that we got free on a large Kinder Egg last Easter. Of all the stuffed toys that LL has, he for some reason has captured her heart. But it’s completely different to Mads and Pongo- LL is obsessed with Baa. If she is tired she shouts for Baa, if she is sad she cries for Baa, if she is scared she looks for Baa. Baa is her comfort, her companion and is never far from her side. I didn’t realise just how how much he is there until our recently holiday. Everywhere we went, Baa came too, and we were constantly panicking about losing him somewhere while we were out and about. It got me thinking and looking back on photos, it’s scary to see just how much Baa is present, even just in the background. In fact Baa is pretty well travelled for a cuddly sheep, he’s been out and about on many adventures in the short time he has been with us. It’s a really lovely thing to witness- the way her eyes light up when you hand him to her at night, the way she offers him to people she trusts for a cuddle as long as you give him straight back, and the way he is somehow just always there, like a fifth member of the family. It really reminds me of ‘Rabbit’ (original names in this house!) and how much comfort he provided me over the years. The times he was there when I was poorly and I unfortunately covered him in sick, the times when I sat patiently watching him whirl round the washing machine having a clean, the times I cuddled him when I was somewhere without my Mum and Dad, and even as I got older the times I remember crying into him when I broke up with my first boyfriend at school. I love watching LL and Baa’s very special friendship and how besotted she is with her best friend. I just only hope we never lose him! Lots of memories with Baa. Aww bless, it’s lovely that she has a friend that gives her so much comfort. And on the plus side it’s great that Baa is so very portable – Elma’s equivalent is her “blankeeet” which has a tendency to get trailed around after her and then wailed for if we’ve left it at home. Though on the plus side if she looses it I can knit another – are you going to be stocking up on giant kinder eggs this year? I love this. I was the very same with ‘Bunny’ who I still have. I bought Eli a bunny in the hope he’d be the same, but he’s not fussed at all. one of my kids is inseparable from a cuddly puppet of simon cowell! He goes everywhere with us, even to disneyland!! Gorgeous photos, I think the bottom photo is amazing, so cute! I love Baa, gorgeous! I had a blue teddy bear when I was little which my younger brother then adopted (stole) and we still have him now, he lives at my mum’s house, so Boo can play with him when we go to visit Grandma and Grandad! Thanks Mary- it’s funny isn’t it what they get attached to? Andrew has always wanted Gwenn to have her own “Baa” but so far she hasn’t shown any real preference for anything that she owns. In a way, I am relieved because the thought of losing something like that? Well, it just doesn’t bear thinking about! I think because Gwenn is so obsessed with dummies that she has no space in her heart for anything else!! Oh dear I really hope you never lose it either. We have the same with MM. She is in love with this Darcy Duck from jellycat and at first we couldn’t find a replacement when it went missing I was mortified and we panicked but a day later a friend brought a new one round and we found where to supply them. lol She takes her little ducky everywhere and I always think it’s good for them to have something that comforts them that they can feel safe and happy with. 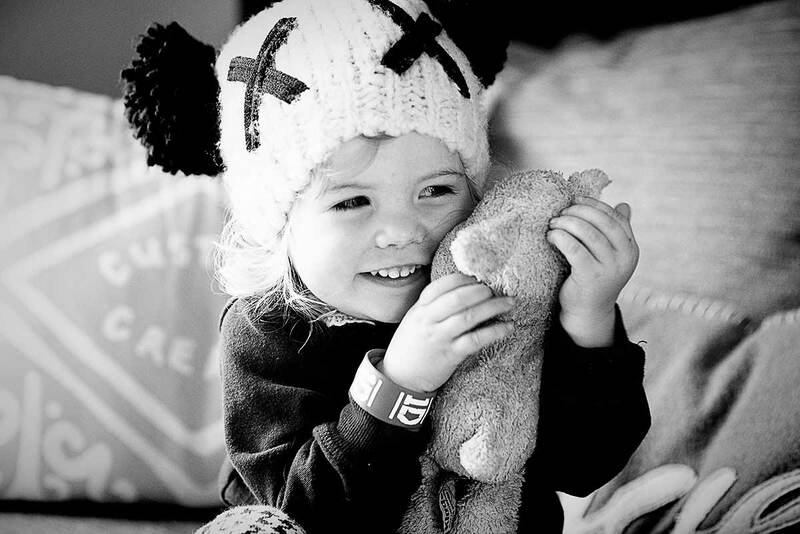 She is so cute with her little stuffed animal too. Make great photos! 🙂 Something so sweet when you see a photo of a little one dragging their stuffed animal or blankie around. I always think of innocent. Lovely post and thank you ever so much for hosting. So cute and so funny as both my boys have very firm specials, neither of which were chosen by me! They are one bought from other people, that were not even as nice as my selections! Such a cute post. Both of my girls have got special toys too. It makes your heart melt watching them snuggle up against them. We have two of each – it was my mums suggestion in case we lost one. The problem is now we need to have two – it is a disaster if we loose one and despite having two of each often we end up searching the whole house each evening for either Mr Doggy or Stinky Blankey. I don’t know what it is exactly, but in that top photo I saw a mini replica of you! Baa looks like a very loved sheep. It’s great to have such a good best friend. 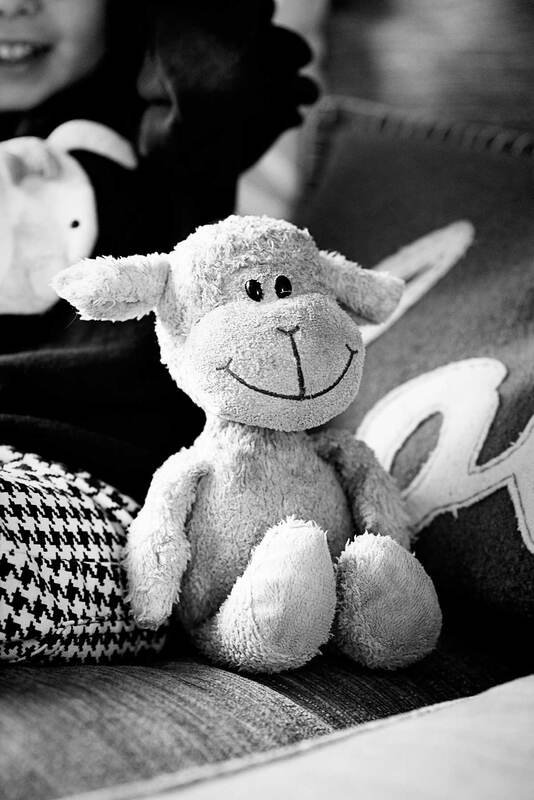 I used to have Little Ted (like your Rabbit, I too like the more traditional toy names :-)), my daughter has him now. I love your photos.